at the personal and organizational levels. around Human and Organizational Needs. Gregg shines the light where organizations and their leaders get stuck. Participants in his facilitated events and workshops move forward in ways that create success for themselves and their organization. The individuals and teams he facilitates and trains are more responsive to organizational challenges, helping the organization run at full potential. Effective communication in the organization builds strong working relationships. ​His unique learning-systems approach produces sustainable results. 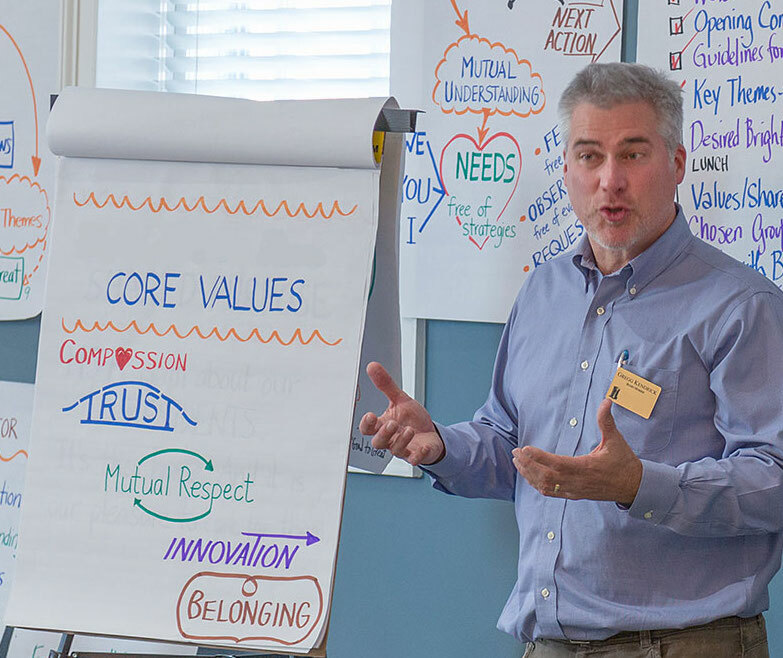 Gregg creates conversation and learning environments that invite personal ownership and mutual accountability to make desired behavior changes at the personal and organizational levels. ​People are intrinsically motivated ​​when they are aligned with the purpose and meaning of their work. People engage when they are included in the decisions that impact them. People have heightened trust when they are heard and valued. when human needs are valued. ​that make it vital and effective.